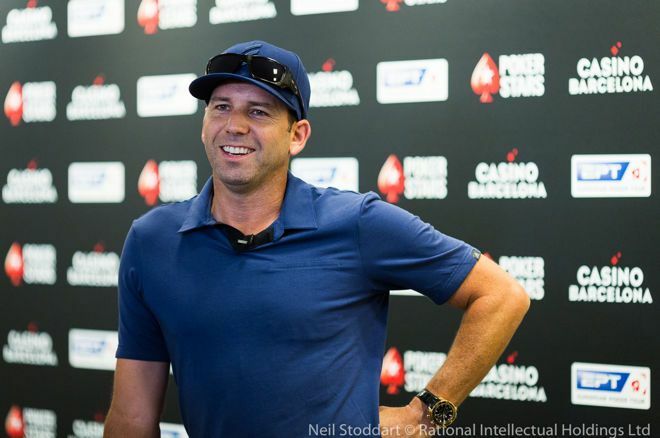 Golfer Sergio Garcia is at the PokerStars 2018 EPT Barcelona to play the €5,300 Main Event. 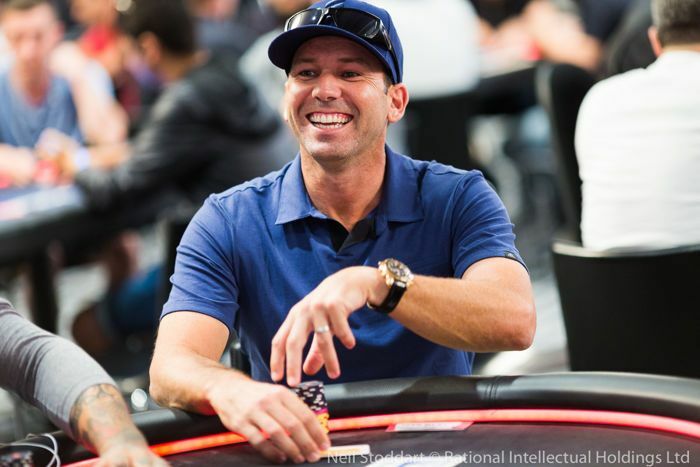 Every cloud has a silver lining; Sergio Garcia admits that he didn’t have his best year in golf, resulting in him just missing out on the 2018 FedEx Cup Playoffs but this did mean that he got to play at the PokerStars European Poker Tour in Barcelona. 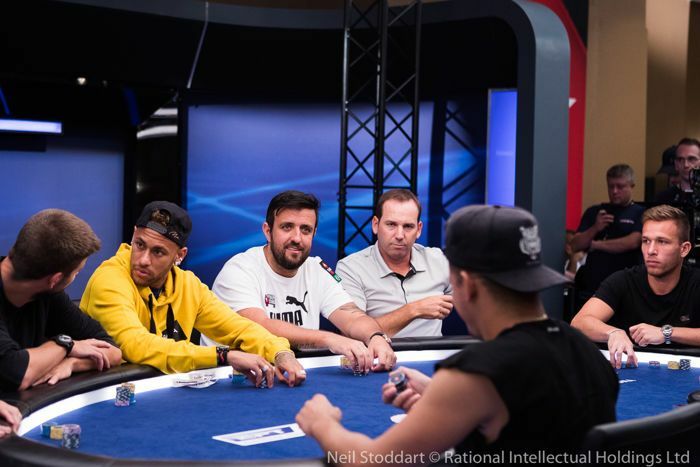 While he may be playing the Main Event today, yesterday Garcia took part in an eight-handed €25k Charity tournament alongside several other sports stars, including Neymar and Gerard Pique. Each player had a chosen charity, with Garcia playing for the Sergio Garcia Foundation. Golf’s fallow months tend to fall between December and January, which is when we usually see Garcia on the poker circuit; playing at the PCA in the Bahamas. “Barcelona is definitely different, but both stops are amazing. I know that the PCA is going to be incredible with some of the new events they’re going to have next year. It’s going to be even more packed than it is usually! With the Main Event attracting over a thousand entries today alone, the tournament room is packed with players. 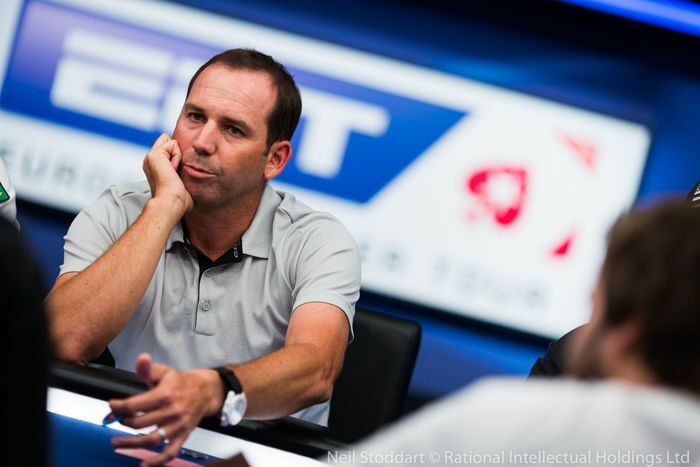 “I know that EPT Barcelona has been growing for the last eight or nine years, and that’s down to what a great job the whole team does while they’re here. “The number of players is just amazing. I think that they could add two more rooms and they’d fill them up too! “I’d love to say that I’ve improved [since 2008] – I hope so! Unfortunately, I just don’t play enough. As I get older and maybe begin to play a little less golf, then maybe I’ll get more into it. “The great thing about playing poker is that if your mind is fresh then you can play it. You don’t need to be in good shape physically to play well! But to me it’s more about the challenge; I love competing in everything I do. Sergio Garcia at the poker tables. This week saw the announcement of “The Match,” a heads-up golf match between Tiger Woods and Phil Mickelson. Along those lines, we asked Garcia who he’d like to go heads-up with at the poker tables. “Even though my chances wouldn’t be great [laughs] I’d love to go up against a poker player. Playing a guy like Daniel Negreanu – I know he loves his golf – that would be fun. Garcia has said previously that the patience required in golf can aid him at the poker tables. “You’d have to find someone that doesn’t show too much emotion,” said Garcia, when asked which golfer would excel as a poker player. “When you’re really patient you usually do really well; maybe guys like Adam Scott or Rory [McIlroy]; I think they’d both be good poker players. Patience on the table is as good as patience off the table, with Garcia now playing the waiting game until Ryder Cup selection. Travelling the world and playing in different countries, maybe Garcia’s more of a poker player than it seems!